Now, more than ever before, filmmakers from Hollywood and around the world are discovering Hawai‘i is an exciting place for film, television, commercial, and digital media production. The industry is growing, thanks to some new and globally competitive state tax incentives. 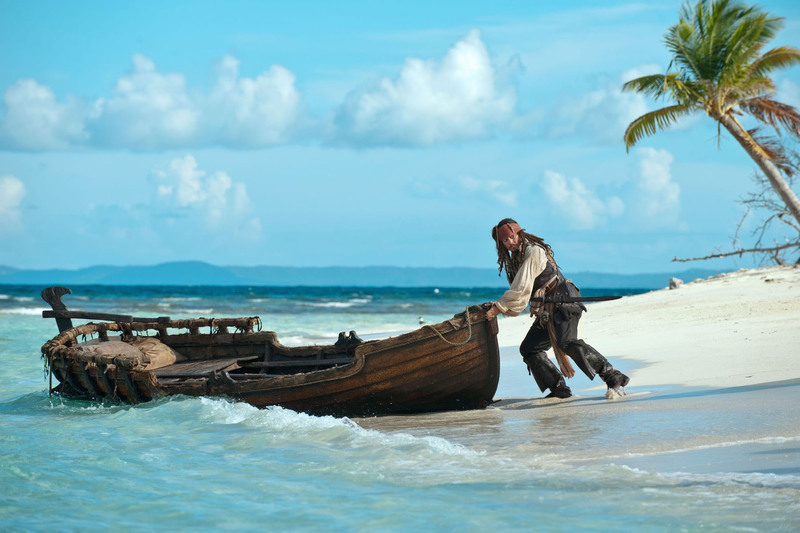 These incentives have already lured a wave of major feature films to the Islands in 2007, including Disney’s “Pirates of the Caribbean: At World’s End,” Universal’s “Forgetting Sarah Marshall” and DreamWorks’ “Tropic Thunder.” Producers for the “Indiana Jones” movies returned to shoot another sequelParamount’s fourth installment of the successful franchise, “Indiana Jones and the Kingdom of the Crystal Skull.” Hawai`i now ranks among the top ten film destinations in the United States. Not bad for a chain of small islands in the middle of the Pacific. Millions have also been captivated by iconic television shows like “Hawaii Five-O” and “Magnum P.I.,” and more recently, the hit drama “Lost,” all of which were shot entirely in the Islands. “Lost” has helped showcase Hawai‘i’s amazing ability to double for such diverse places as Australia, England, Korea, Thailand, Iraq, New York, and Africa. In addition to the Islands’ diverse terrain, stunning locations and fabulous year-round weather, Hawai‘i has much more to offer. Click here to find out more about Act 88, the Refundable Production Tax Credit; Act 221/215, the High Technology Business Investment Tax Credit; and the Royalties Tax Exemption or contact the Hawai‘i Film Office. The Hawai‘i Film Office is the first point of contact for most film production in the state. The office serves as a one-stop film-permitting center for filming on all state public lands and works closely with all four county film offices to support filming activity that falls under the respective county jurisdiction. It also manages the Hawai‘i Film Studio, the only state-owned and operated film studio in the country. Hawai‘i has developed its own creative filmmaking community, with a competent crew base and diverse talent pool. For a resource directory called the Hawai`i Production Index contact the Hawai‘i Film Office. Hawai‘i offers a pool of skilled digital media services and talent, including digital filmmaking and video, animation (2D and 3D for film and TV, special effects and video game development), Web design, multimedia design and graphic design. The state has also developed award-winning digital media education programs in schools and colleges statewide. Hawai‘i has excellent education programs in film, digital media, animation and game design including Academy for Creative Media at University of Hawaii and the New Media Arts program at Kapiolani Community College. Hawai‘i hosts a variety of film festivals, including the two biggest ones: Hawaii International Film Festival and Maui Film Festival. Both attract internationally acclaimed filmmakers and actors, showcasing a diverse array of films that attract a worldwide audience. HIFF is the only U.S. film festival that has established a formal relationship with the Shanghai International Film Festival. Hawai‘i has a great reputation for attracting international crews from Europe, Asia and the Pacific Rim, especially Japan.